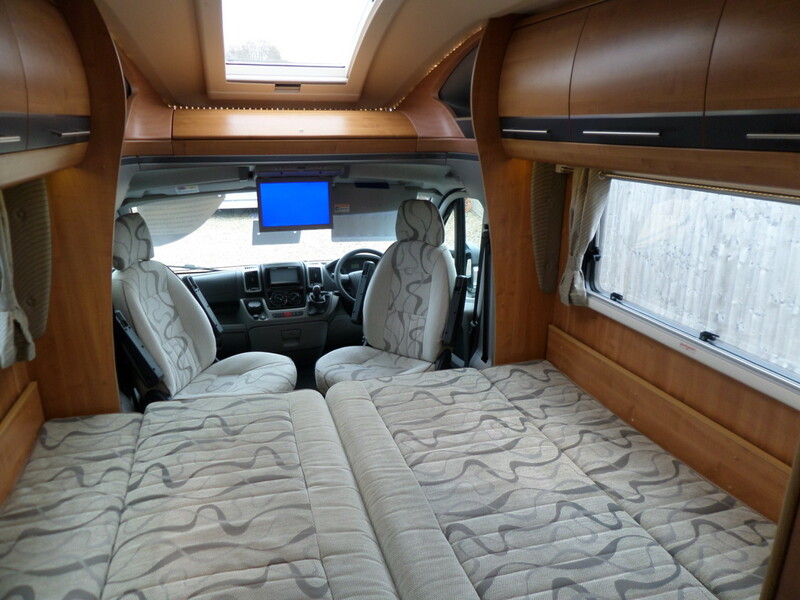 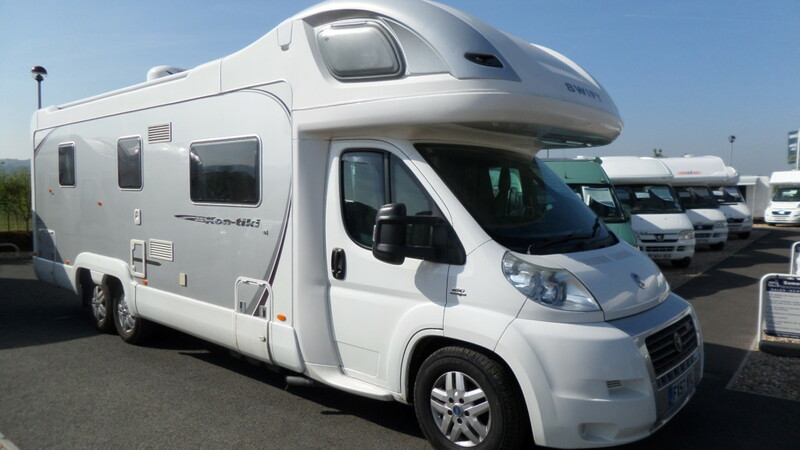 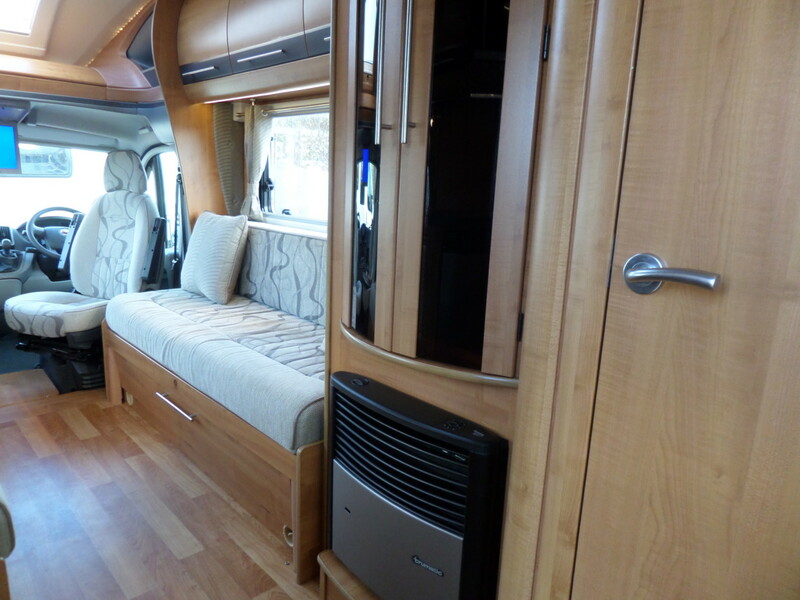 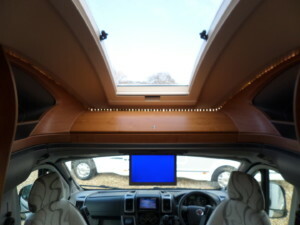 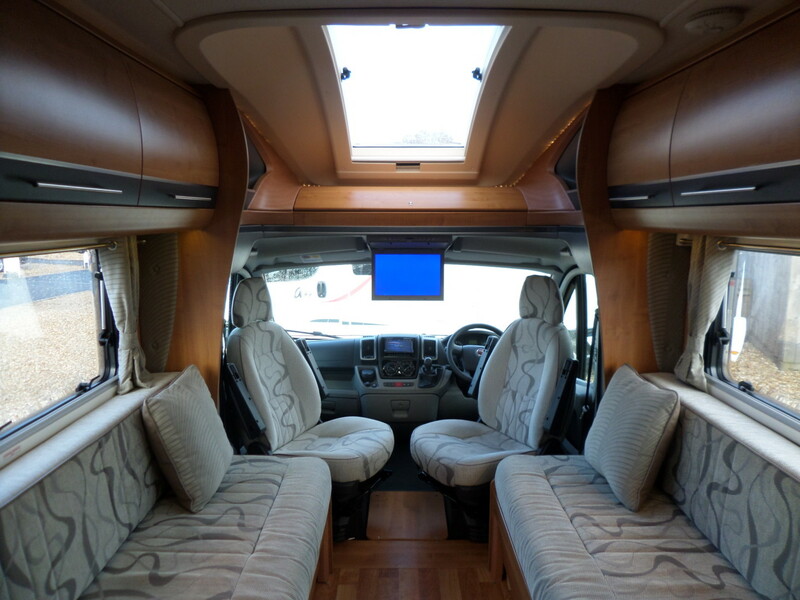 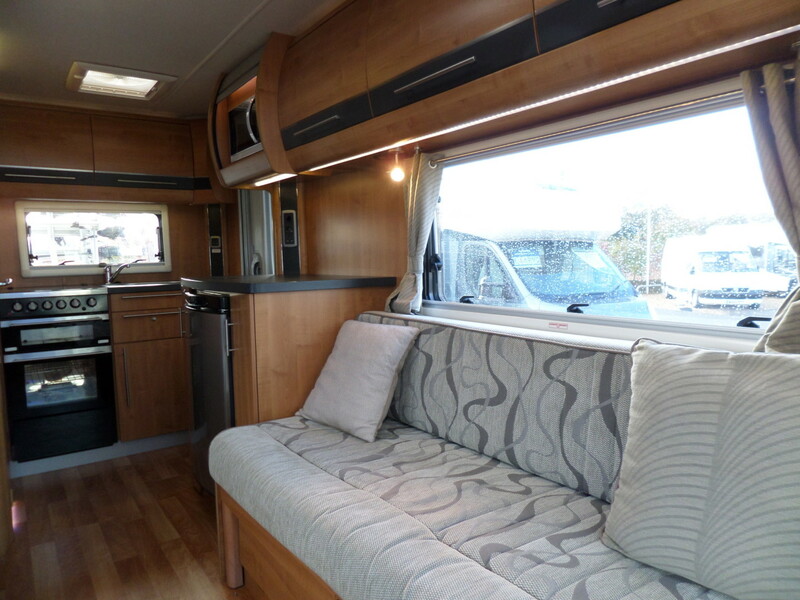 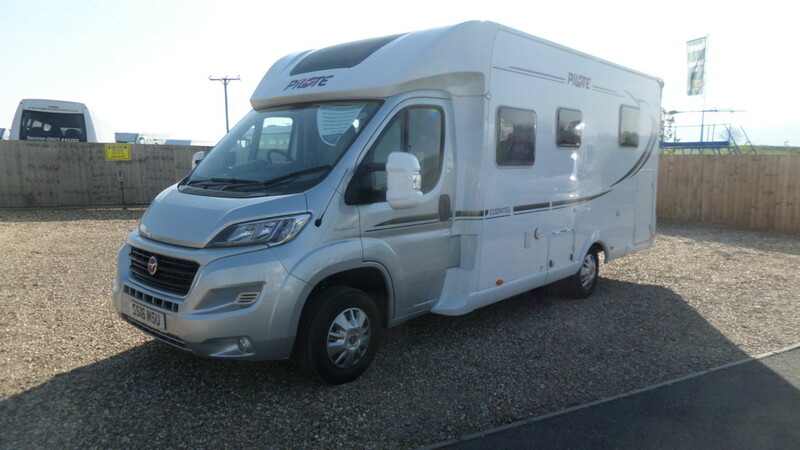 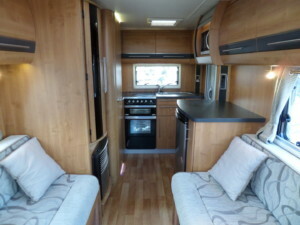 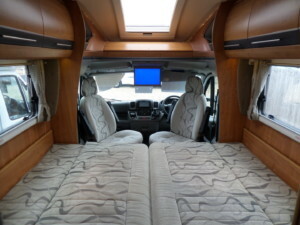 With its huge, uncluttered lounge, the Tracker EKS is the perfect layout for those who like to relax and put their feet up with a good book or enjoy the built-in drop down tv. 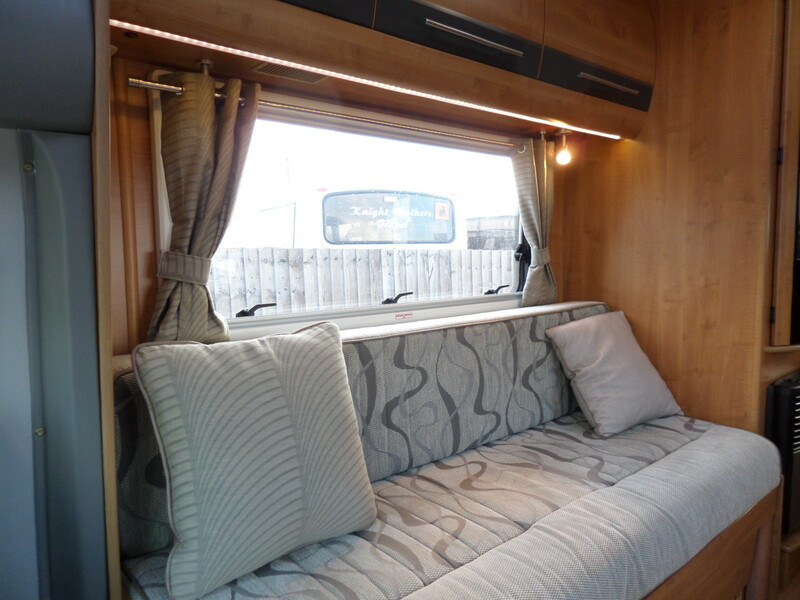 The 2 long bench seats quickly pull together to form a large double bed during the evenings. 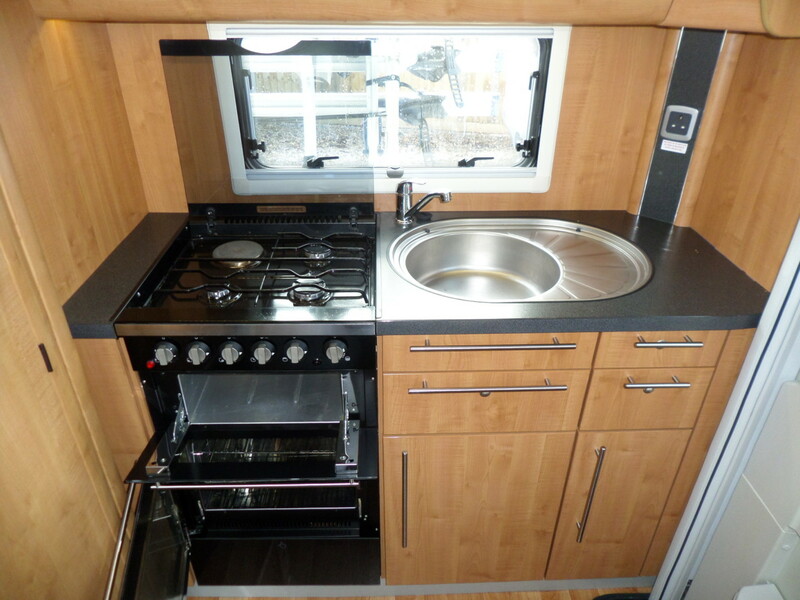 A rear kitchen will provide all you need for those all important meals throughout the day with a full sized cooker, grill, 4 burner hob and fridge. 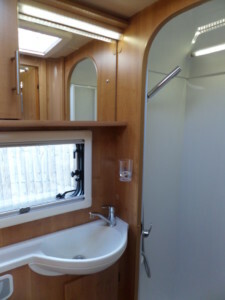 The washroom is bright and modern with a vanity sink, toilet and separate one piece “walk in” shower. 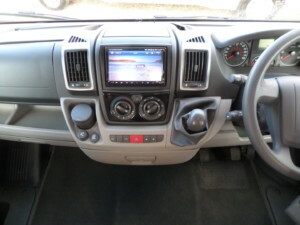 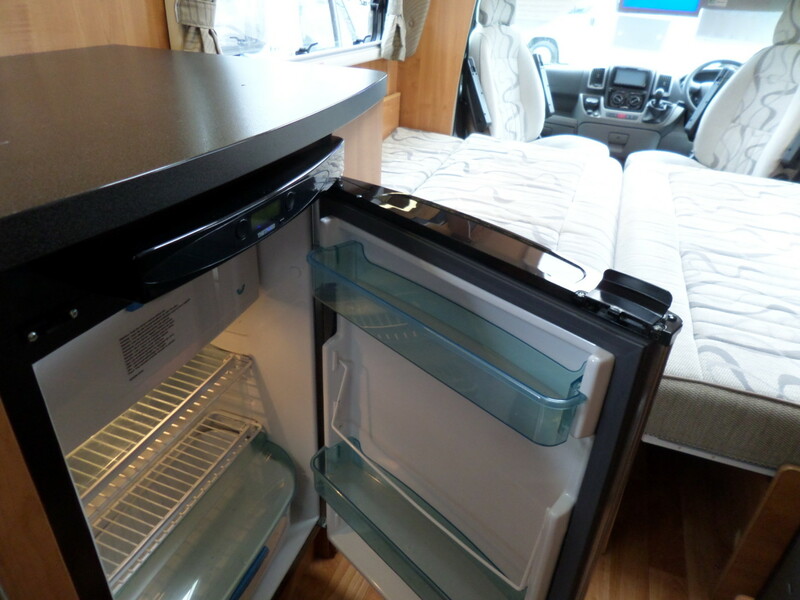 Storage is not a problem thanks to the space under the 2 long bench seats for all your accessories. 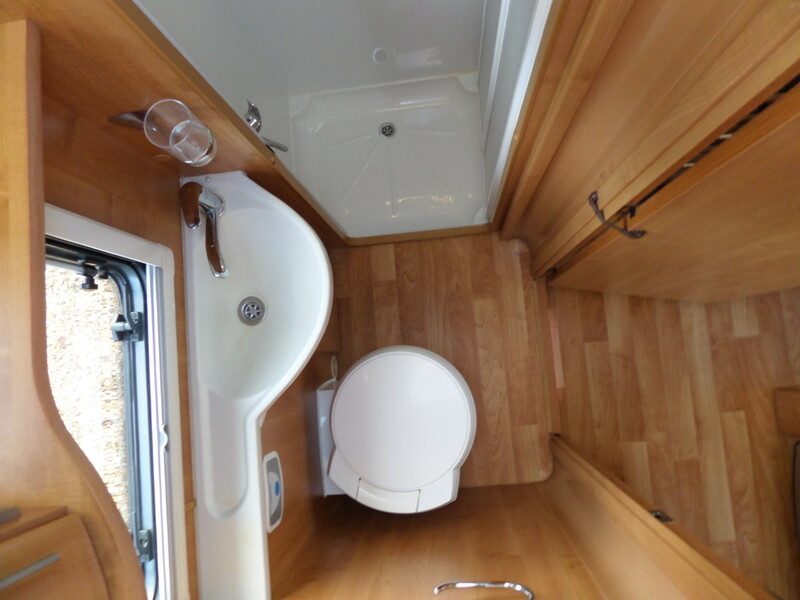 Several extras have already been added to this model and they include a bike rack, multi media system and external shower point. 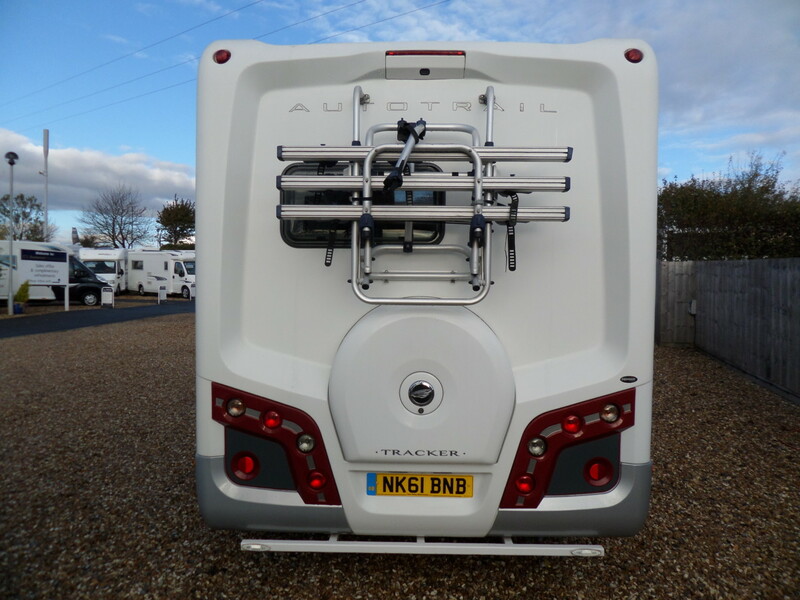 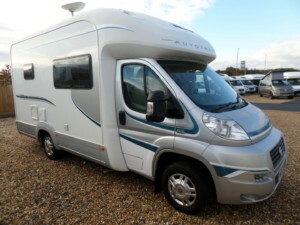 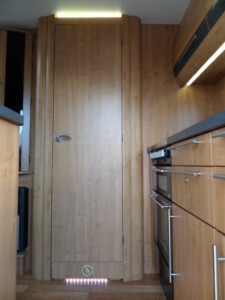 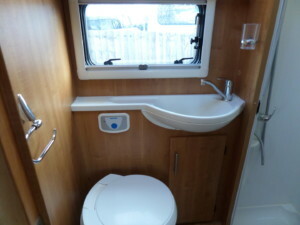 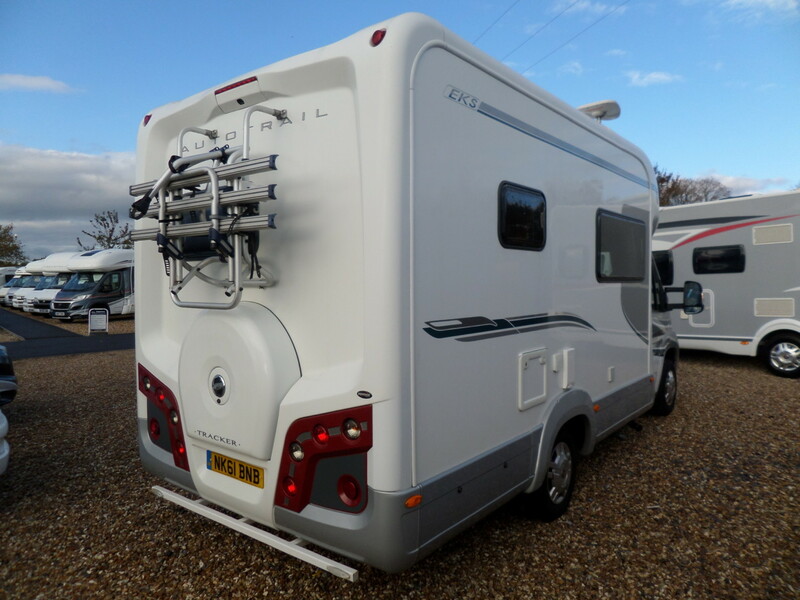 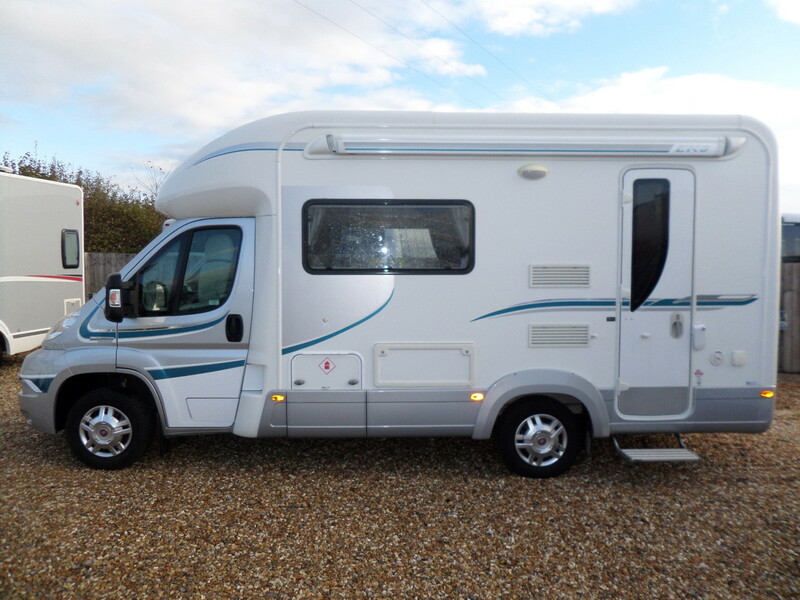 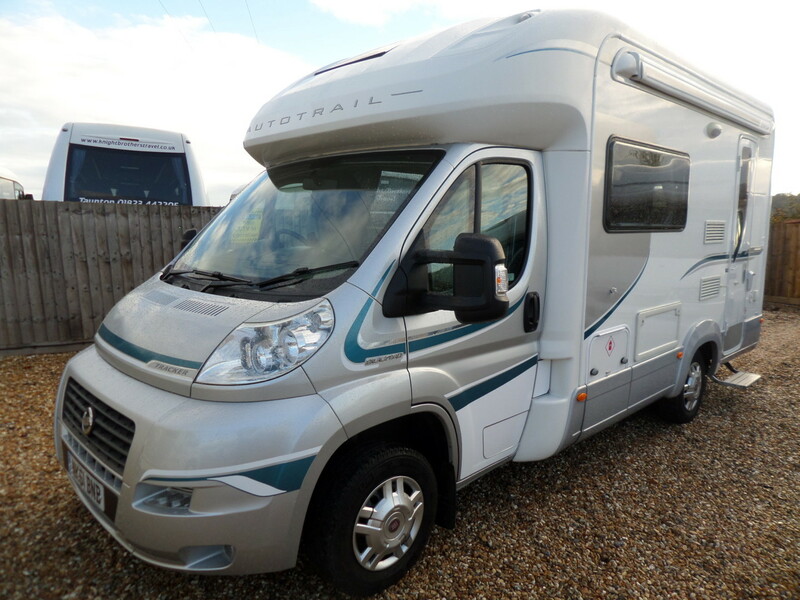 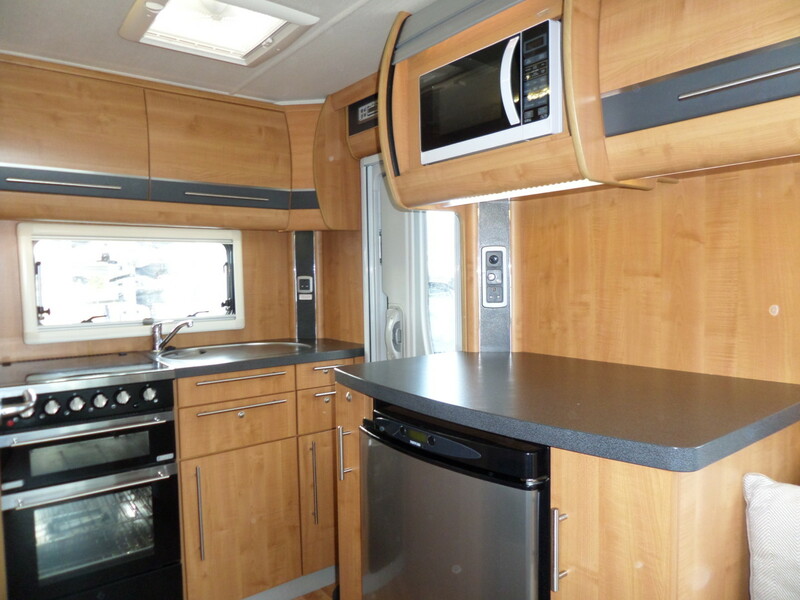 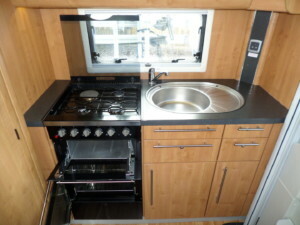 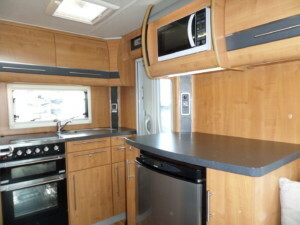 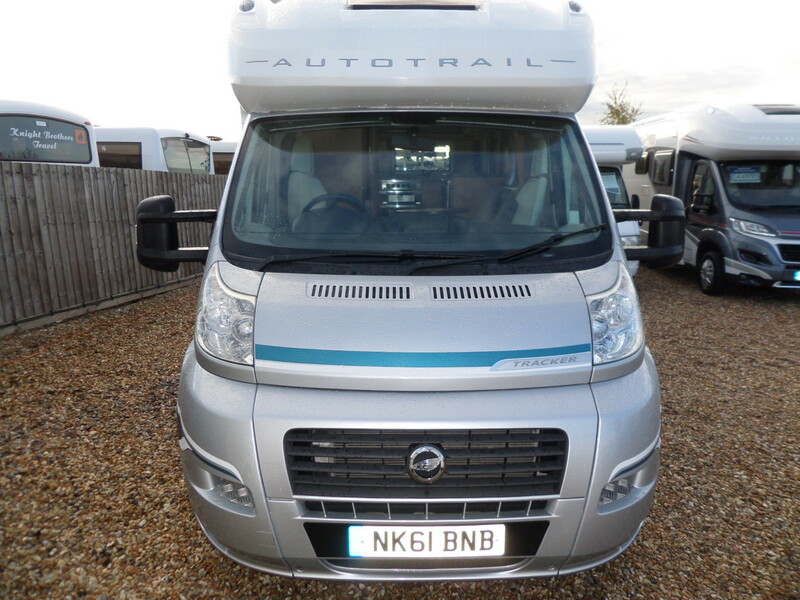 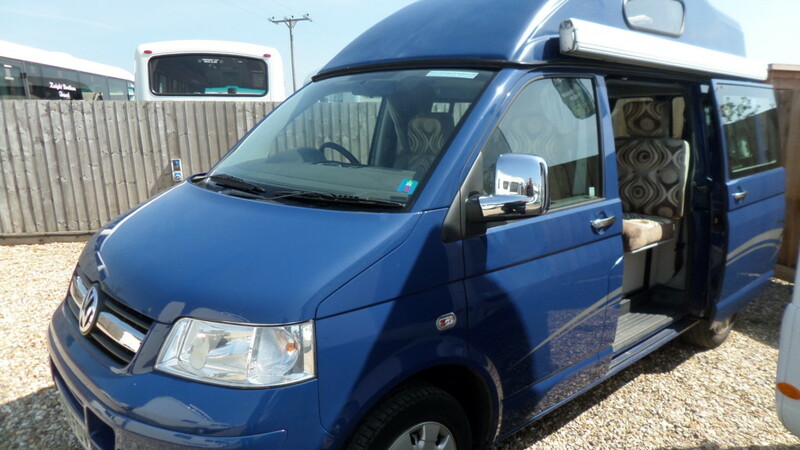 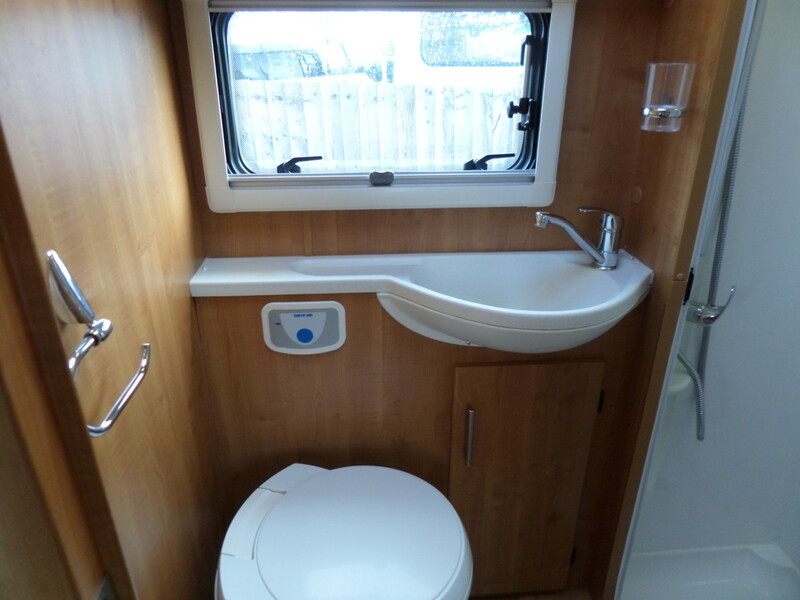 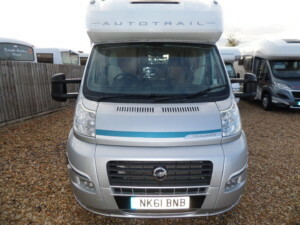 Having been well cared for, you will find this 2 berth in lovely condition throughout.